Max was born on 11/6/2008. 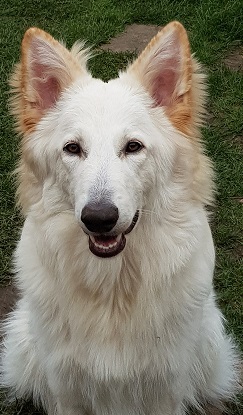 He loves playing with his sqeaky ball at home, and playing with his GSD friends at the country park. He is vey loving and oh so funny! You just have to look at him and he rolls over for a belly rub!